Start with your sightseeing tour at the bus station of Mostar. Follow the main road Marsala Tita for 400 meters and turn into Karadozbegova street. There you will find the beautiful Ottoman Karadjoz-Bey Mosque from the 16th century. In addition to its graceful and large minaret, the mosque is best known for its wonderful dome. Admission to the mosque costs 5KM. After visiting Karadjoz-Bey Mosque, you can pay a visit to the Museum of War and Genocide Victims 1992-1995. The museum is not very big, but through interesting photo collections and stories you will learn more about the terrible war that took place in the country in the 90s. The entrance fee to the museum is 10KM. A few blocks away is the popular Biscevic House. It is one of the most beautifully preserved houses from the Turkish period and was built in 1635. The courtyard and the view from the living room over the river Neretva, are the highlights of the house. The entrance fee to the Biscevic house is 4KM. 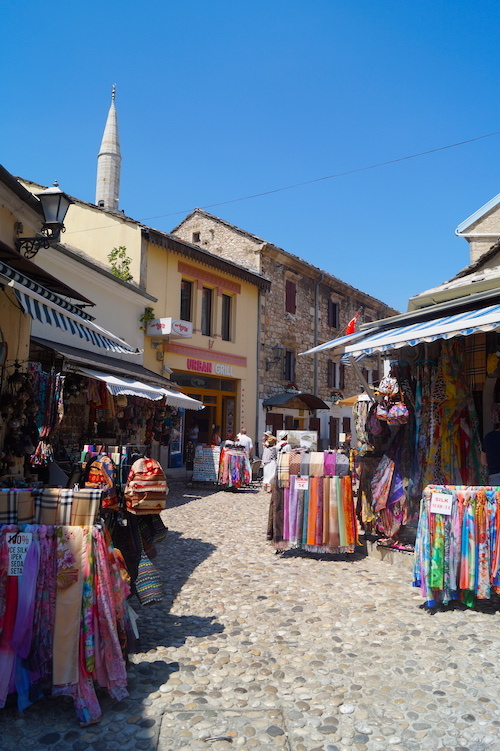 Next, explore the Old Town with its narrow streets and souvenir shops. Here you can also have a lunch break in one of the numerous restaurants. Some of them, such as the restaurant Labirint, have terraces right on the Neretva River, from which you can enjoy a beautiful view of the Stari Most bridge. 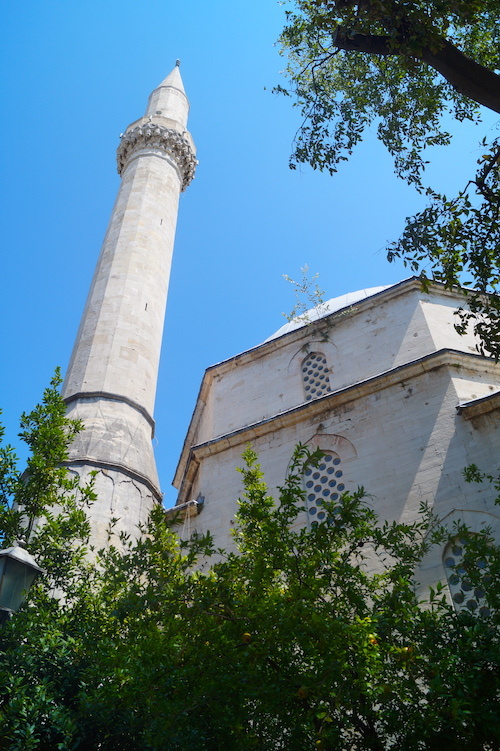 The popular and monumental Koski Mehmed Pasha Mosque is also located in the Old Town. If you are not afraid of heights and would like to enjoy a great view over Mostar, you should head to the top of the minaret. The entrance fee to the mosque is 4KM. Next you should head to the bridge Stari Most, the most famous attraction of Mostar. Once one of the most impressive buildings in the world, the bridge was destroyed in November 1993 by the grenades of the Croatian artillery. In 2004, a copy of the destroyed original was rebuilt. 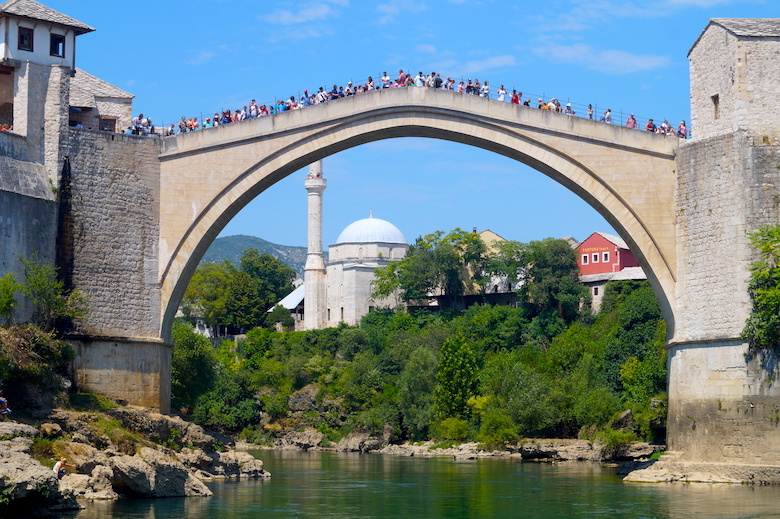 From the bridge you can enjoy a great view of the old town, the river Neretva and the Koski Mehmed Pasha Mosque. After you’ve crossed the bridge, you can explore the western part of the city. You can visit the Turkish Hammam, which opened in the 17th century. It is the only remaining Turkish bath in Mostar and one of the few remaining Turkish baths in the whole country. Entry to the Hammam costs 4KM. Right next to the bath rises the wonderful Tabacica Mosque. Next to the Hammam is the small version of the Stari Most Bridge. 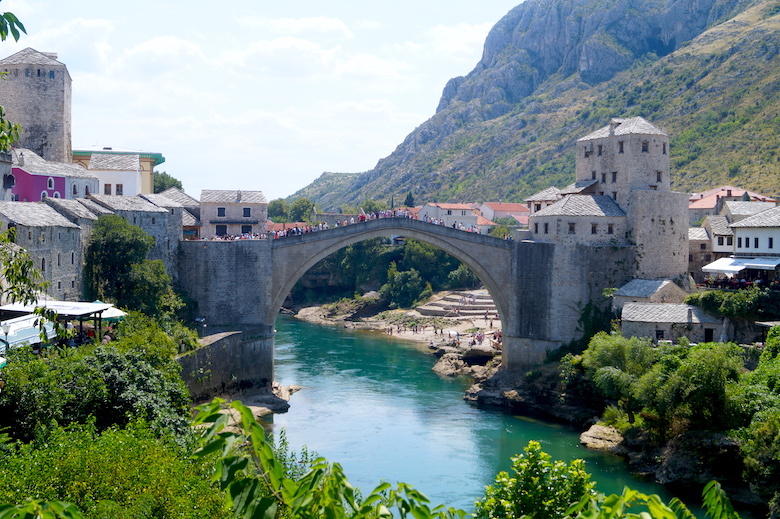 Sure, the Crooked Bridge (Kriva Ćuprija) can not keep up with the beauty of Stari Most Bridge, but there are far fewer tourists around and you’ll have a great view of the surrounding old buildings converted into taverns and restaurants . Now it’s time to wind down the afternoon and have a drink and a snack at one of the many outdoor terraces, preferably near the Neretva River.